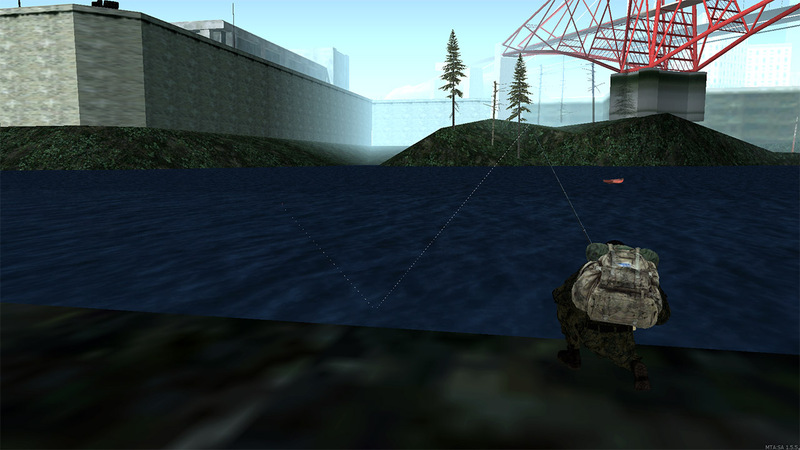 The Fishing rod is a melee weapon in MTA DayZ. It can use secondary slot in player's Inventory. Related to military loot. You can use Fishing rod to catch a fish in the water. You just need to cast a bait in the water (aim + fire) and wait. When you catch a fish it will try to escape and if you don't pull it out in time you will lose it. Press R to turn a fishing reel. Most loot places with Fishing rod located in Red County (25%). Other places in Los Santos (23%), Las Venturas (15%), Bone County (9%), Flint County (8%), Tierra Robada (8%), Whetstone (4%), San Fierro (3%) and Unknown (1%).